I’ve enjoyed following the boxing news over the last few months and feeling build up to the the fight coming to a crescendo ahead of tomorrow’s big fight night – or the early hours of Sunday morning for us UK dwellers! With predictions all over the place, I’ve even seen people on Facebook trying to mimic fighting like Mayweather and Pacquiao, and others attempting to use their boxing experience to demonstrate how the fighters should approach what must be the biggest fight this year – if not this century! And this is what I love about boxing. Suddenly everyone’s an expert or has an opinion. And to be honest I believe they have every right to. This is what makes boxing so thrilling to watch and the anticipation of the fight so exciting. We can talk all we like, read about it during the build up and listen to the opinions of others right up to the last second, right up to the last punch even. None of this matters in the end. The truth begins and ends in the ring. The predictions, opinions, the histories of the fighters – all of it – settled in the ring. Done. On the night literally anything can happen – with both fighters aiming to peak on that day – hoping they’ve done enough in training to tip the balance in their favour. And that’s all they can do. 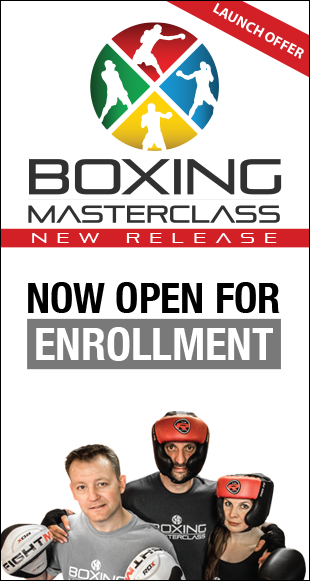 Months of training and preparation come down to a maximum space of 12 rounds of 3 minutes of pure boxing. Hundreds of thoughts running through their minds before the fight – doubts and worries flooding their consciousness – requiring the strength of mind to replace each negative with a positive. Self-belief is the key to winning – believe me. Most articles I’ve read seem to sit on the fence, scared to get it wrong. And I understand the hesitation – anything can happen in the ring, I know, I’ve been in that ring. So who do I think will win the day? My brain tells me Mayweather – on points. People may say Mayweather is boring to watch (sometimes he can be) but from a boxers point of view his skill set is huge. He is fast. His defence is excellent, and his ability to think on his feet and adapt is superb. Granted he isn’t the biggest puncher in the world, but he picks his shots and he uses angles to his advantage. His targeting is precise – rarely missing. And on top of all that – he is incredibly difficult to hit. 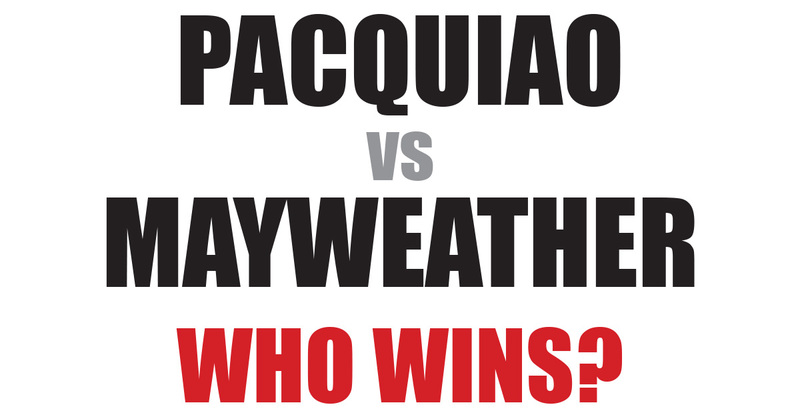 But who do I want to win – well us British love an under dog and my heart says Pacquiao. From what I’ve seen Pacquiao has the air of a gentleman about him, he has done so much for his country, using the power and influence he’s gained from boxing as a force for good. This kid from the Phillipines, who rose up through the ranks the hard way and fought for everything he’s achieved, finally and deservedly making it to the very pinnacle of his sport. Now I’m not having a dig at Mayweather, I’m sure he’s a nice bloke too – but looking at his boxing/public persona – he encourages people to dislike him and everything he stands for. But in fairness – that’s how he wants us to feel – it’s how he’s sold such obscene numbers of tickets. He inspires us to want to watch him get knocked out! Seems mad to me, but as a business it works! Now Pacquiao’s skills are not to be underestimated – was he better 5 years ago when the fight should have happened? That’s debatable. But Pacquiao is not only great to watch – for me he encapsulates pure heart and skill. Pacquiao has everything he needs. He has the power, the speed and the ability to test Mayweather to the limit – I just hope he has the good fortune he deserves on the night. So truthfully the upshot is this. Mayweather has all the skills he needs, but in my heart I’m rooting for the kid from the Phillipines.